I’m pretty comfortable with stepping outside of my boundaries when it comes to fashion. That said, the first time I admired this aqua faux fur vest, I thought to myself, “I can’t wear that.” Aqua plus faux fur definitely make this vest an ultimate piece of statement clothing. But the more I looked at it, the more I had to have it. I know many of you probably have fell in love with statement clothing, but bypassed the item because you didn’t think you could pull it off. So here’s my tips for how to wear statement clothing. TIP #1 FOR HOW TO WEAR STATEMENT CLOTHING: Keep the rest of the outfit simple. This tip is key for pulling off a rocking outfit with an article of statement clothing. I like to stick to neutral tones for the rest of my outfit, or at the very least, monochrome of a single color. It’s the equivalent of shining a spotlight on a piece of art. Here, I paired my aqua faux fur vest with a monochromatic black tee and black OTK boots, along with a pair of dark jeans. The vest pops against the rest of the outfit. TIP #2 FOR HOW TO WEAR STATEMENT CLOTHING: One piece of statement clothing at a time. Except in very rare circumstances (note the emphasis on very), do NOT–I repeat, do NOT–wear more than one piece of statement clothing at a time. It’s often a recipe for disaster. You then have two focal points of your outfit that potential clash and definitely compete. TIP #3 FOR HOW TO WEAR STATEMENT CLOTHING: Balance your silhouette. When it comes to wearing statement clothing, it’s all about proportions. Here, I’m wearing an oversize statement piece, so I kept the rest of my outfit snug. My thermal tee is fitted, as are my skinny jeans. And my OTK boots help to elongate the look. You don’t want to overwhelm your body with the statement piece–then it looks more caricature than couture. TIP #4 FOR HOW TO WEAR STATEMENT CLOTHING: Build your outfit around it. Often times, I build my outfit around a single piece of clothing or accessory. 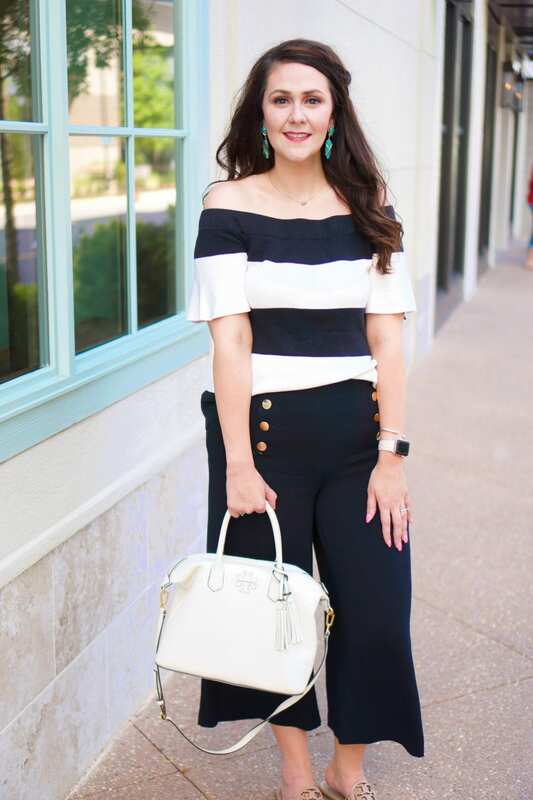 Instead of adding your statement piece to an outfit you already have picked out, try picking out your statement piece and adding the rest of the outfit. You’ll tend to get a more cohesive look when you turn the focus to the statement clothing instead of adding it as an afterthought. TIP #5 FOR HOW TO WEAR STATEMENT CLOTHING: Have confidence. I saved the most important tip for last. Whenever you wear statement clothing, wear it with confidence. Don’t second guess yourself. Remember–fashion is supposed to be fun. If you don’t feel confident wearing a piece of statement clothing, fake it until you make it! Walk talk and carry yourself confidently, and you’ll carry the piece of statement clothing off well. What’s your favorite piece of statement clothing to wear??? I agree, I think the last thing is the most important. As long as you are confident most people will see that and react to that 🙂 I love this on you! Great outfit! I remember thinking for the longest time that faux fur should only be worn in natural colors, but now that I’ve seen all the different and fun colors and patterns, how could anyone resist? This is such a cute balanced look! I love the mint faux fur and the OTK boots work perfectly with it! You rocked this outfit! I love that color blue! You look great! This aqua faux fur vest is simply lovely. You wear it so well, you tempt me to get one of my own! 😂 I totally agree with you on your tips. I think keeping everything else simple is definitely key for having an item stand out. Happy Friday lady! So fun! I have many fur vests, but none are a fun color. I may have to change that! Tif, these are great tips for styling a statement piece! And that fur vest is spectacular. I am big fan of the different colored faux furs! I just got a mauve faux fur vest but I think I want a brighter pink one now. Great look! Thanks so much for linking up with me. Great tips! I love the aqua color for faux fur! So different and it looks great with the boots!